Home :: Catholic Talks on CD & DVD :: Audio Cassette - A Soldier Converts by Marian T. Horvat, Ph.D.
One hundred years after her death, Mother Mariana appears to a Portuguese soldier and tells him to leave the earthly army and enroll in the army of St. Francis. This is the moving conversion story of Fr. Manuel Pereira, who went to Quito and became the confessor for the Conceptionist Convent. 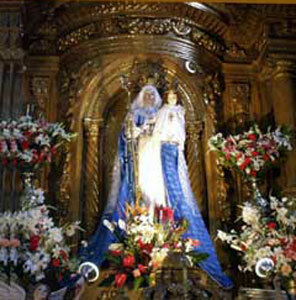 Based on testimonies and original sources in the Convent, he wrote The Admirable Life of Mother Mariana. Later, he went to the New World.